After daylong negotiations, Gov. 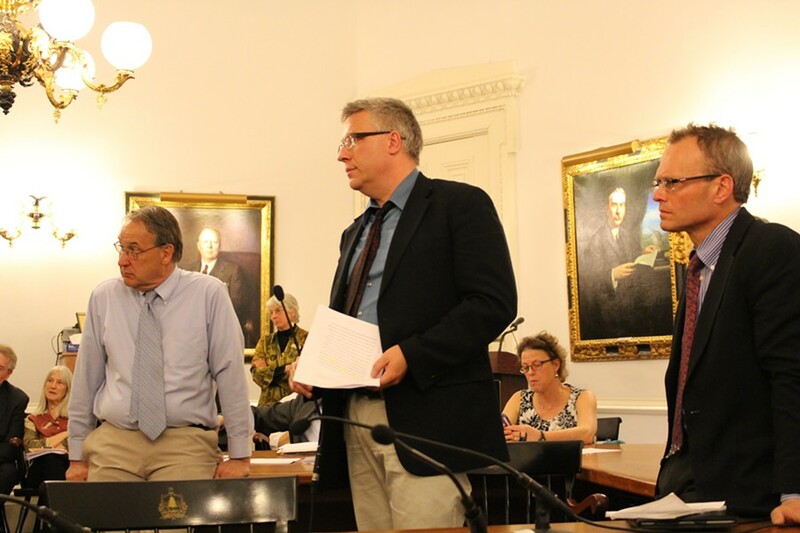 Peter Shumlin and legislative leaders reached a deal Thursday afternoon to raise Vermont's minimum wage from $8.73 an hour to $10.10 over three years. But a drafting error noticed late in the evening kept the House from taking action — and imperiled the deal's chances of approval in time for the legislature's planned Saturday adjournment. Because the text of the bill appearing in the House calendar did not precisely reflect what had passed the Senate on Monday, the House had to pull it and delay the minimum wage vote until Saturday. Even before the technical snag, House liberals rebelled against the accord negotiated by their leaders behind closed doors. Just six weeks ago, they noted, the House voted to raise the minimum wage to $10.10 in a single year and rejected Shumlin's original proposal to spread it out over three years. "My question to the body, Mr. Speaker, is what has changed in six weeks?" Rep. Paul Poirer (I-Barre City) asked his colleagues. "Have we found out that the prices of food, gasoline, rental units — have the prices gone down? Maybe people don't need the money? Well, Mr. Speaker, it's obvious that none of these things have happened." Arguing that the House had more leverage than its members realized, Poirer said the body should reject Thursday's deal and instead vote to reach $10.10 in two years. Would the Senate really kill the bill if the House made it more generous — or would Shumlin veto what has become a central plank of his economic platform? 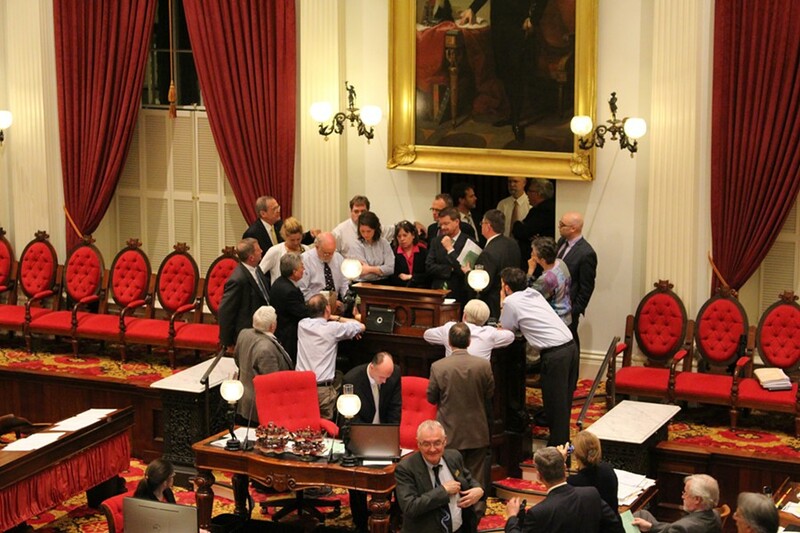 But House Majority Leader Willem Jewett (D-Ripton) said it would be foolish to tempt fate and spurn the deal worked out with Shumlin and the Senate. He made it clear that loyal Democrats should vote down Poirer's amendment and sign off on a three-year increase. Doing so, he said, would guarantee 50 cent increases in each of the next two years. "That's some pretty good progress, members," he said. "I understand we would like to do more." The late-session fight over just how far Vermont should go has been brewing since the end of February, when Shumlin joined an effort led by President Obama and Democratic governors to raise the minimum wage to $10.10 by 2017, in equal annual installments of roughly 46 cents. In April, the House took Shumlin's proposal a few steps further — voting to make the jump to $10.10 two years earlier, in 2015. Some argued at the time that Shumlin's proposal was not as generous as it seemed, because Vermont's minimum wage is already tied to the Consumer Price Index and is expected to naturally reach $9.35 by 2017, even without action. The Senate took a different tack. Earlier this week, it passed a version that would raise the rate to just $10 by 2017, but then make another jump to $10.50 in 2018. With just days remaining in the session, House leaders had the option Thursday of concurring with the Senate's proposal and sending it to the governor's desk — or further amending it and hoping the Senate would approve the new version on Saturday. In negotiations with the governor, legislative leaders landed on a deal similar to what Shumlin proposed in the first place. The only difference was that the newest version would front-load the yearly increases, ensuring slightly higher jumps in 2015 and 2016. House Speaker Shap Smith (D-Morristown) argued the deal was good — and, more to the point, as good as the House was going to get. "For three years under the proposal we have here, people are going to have more money in their pockets," he said. "More money than under the Senate proposal and more money than was under the governor's proposal. Is it everything that we would want? No, it's not everything we would want." But as soon as the deal was unveiled in the House Committee on General, Housing and Military Affairs early Thursday evening, liberal legislators called its wisdom into question. 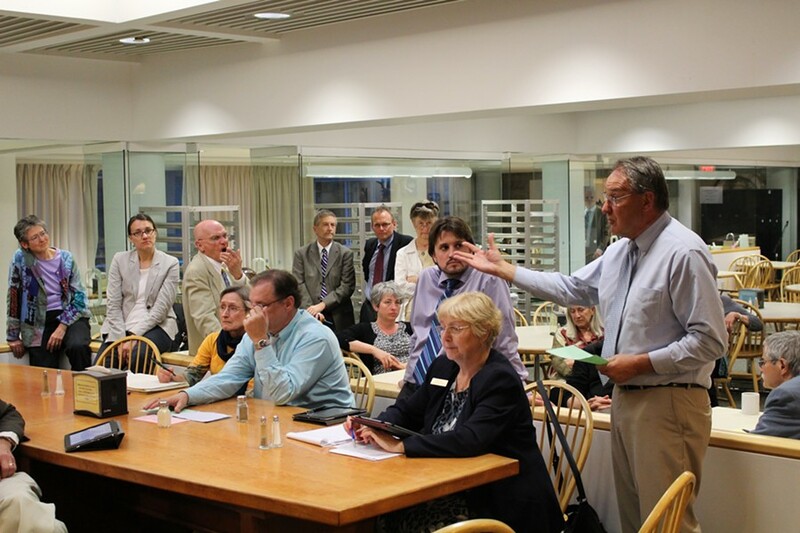 At a hastily arranged meeting of the Working Vermonters Caucus in the Statehouse cafeteria, nearly two dozen Democrats, Progressives and independents debated whether to vote it down. "Why are we being asked to vote for something that's weaker than has passed either chamber?" Rep. Chris Pearson (P-Burlington) asked. "The administration was very intractable," explained Rep. Tom Stevens (D-Waterbury), who presented the deal on behalf of the House General committee. Calling it "ridiculous," Poirer presented his own alternative, which would raise the rate to $9.42 in 2015 and $10.10 in 2016. That, he said, was a fair compromise between the House's one-year proposal and the three-year ones endorsed by the governor and the Senate. Moments later, Poirer pressed his case further at a separate meeting of the Democratic caucus. "I believe the same reasons 82 of us voted six weeks ago [for a quicker increase] haven't changed," he argued. "The need is just as great now as it was six weeks ago. What has changed is the word 'politics.'" If the House went its own way, Poirer said, "The burden will be on [the Senate] to say no. I don't believe the Senate will say no. So why do we want to do their work and reduce it when we know the need people have?" Rep. Curt McCormack (D-Burlington) backed Poirer, saying that popular support for raising wages was strong and nationwide. "I've never seen it so ripe to increase the minimum wage," McCormack said. "I think it's a good time. And I do agree with Paul: It's hard to picture the governor or the Senate being the ones where this issue dies." On the House floor, Rep. Helen Head (D-South Burlington) defended the deal and argued against Poirer's amendment. As chairwoman of the House General committee, Head served as the House's lead negotiator with Shumlin and the Senate. "The proposal that the committee put forward tonight is certainly a compromise proposal. It's not what most of us would have imagined putting forward six weeks ago. But it's a proposal that reflects the reality of the concerns raised by [the governor and Senate]," she said. "What happens if we don't get a minimum wage increase in these last few waning days of the session?" By a vote of a 36 to 91, Poirer's amendment was defeated. After settling that question, the House had one more choice to make: support the negotiated deal or simply concur with the Senate-passed version and send that to the governor. Some said that because the Senate plan went further in 2018, it was a better option. But Democratic leaders argued that the negotiated deal was stronger, because it guaranteed higher wages sooner. In the end, the point was moot. As Democrats hashed out the question in yet another late-night caucus meeting, Smith informed them that there might be "a little bit of a technical issue." Because the effective date of the bill as printed in the House calendar differed from that passed by the Senate, any member of the House could make a motion to cease consideration of it. As soon as the House reconvened, Rep. Don Turner (R-Milton), the minority leader, did just that. In ruling on Turner's motion, Smith said that because the effective date "goes to the heart of the bill," he would have to accept the Republican's motion and place a new, correct version the calendar. That would keep the House from debating it until Saturday. The delay may leave the House with just one option: concurring with the Senate-passed version and sending it straight to the governor. If the House amends the bill in any way, both the House and Senate would have to suspend their rules multiple times to meet the Saturday deadline. And with Republican opposition strong, that might be too big a lift.